Specially custom mixed in-house serums improve the radiancy and hydration of skin with skin firming effects. 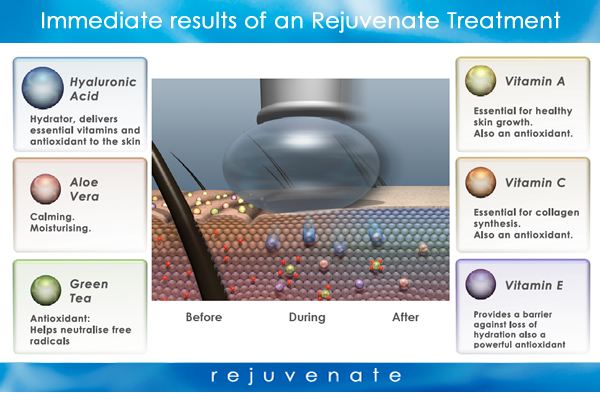 Unique Intraceuticals Rejuvenate Serum contains lightweight Hyaluronic Acid and a powerful combination of vitamins and antioxidants. The Hyaluronic Acid helps to instantly hydrate the skin resulting in Increased firmness, reduced appearance of fine lines and wrinkles, improved look to facial contours and overall radiance.